Whether you’ve ever wanted to be like Mia Wallace from Pulp Fiction, dancing with Vincent Vega, or perhaps someone a little more silly like Laliari from Galaxy Quest, but you’ve been missing one crucial thing to be either of those women. The stylish black bob haircut, but we understand you not wanting to lob off your beautiful locks. 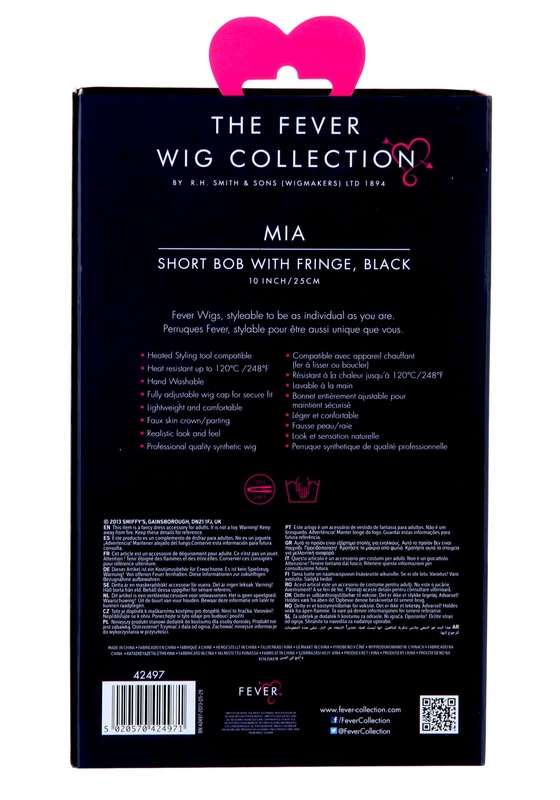 That’s why we’ve found this Styleable Fever Mia Black Wig. You can become whatever black bobed bombshell that you desire, all without the risk of cutting your hair off. It can be scary to change your hair, it takes so long to grow back out. (We know, our high school year book is full of some of our more interesting choices!) But now you can boogie the night away like Mia Wallace, or travel the galaxy with your friends like Laliari. Go have your adventure, without the risk to your hair!